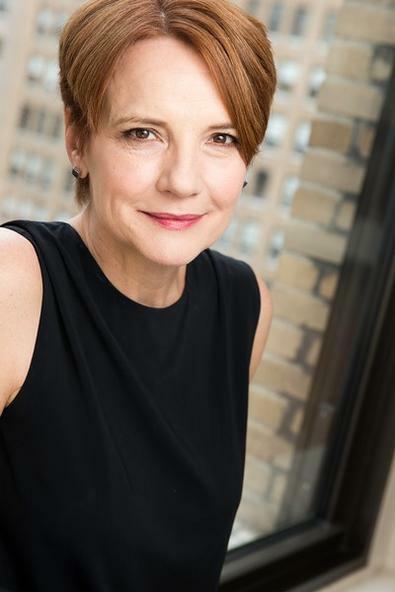 New York–based casting director Tara Rubin talks to Backstage about her casting past, what makes a good session, and what you should do to become a CD. CSA member since... Shortly after the Magna Carta was signed, so 1215? Or maybe it was 1990. Upcoming credits: “School of Rock” on Broadway, plus two shows at Paper Mill Playhouse: “The Bandstand” and “A Bronx Tale.” And the upcoming Yale Repertory Theatre season is amazing with Dianne Wiest in “Happy Days” and world premiere plays by Jen Silverman, Paula Vogel, and Jihae Park. We can’t wait to see Pasek and Paul’s musical “Dear Evan Hansen” at the Arena Stage this summer. And the new musical “Moonshine” will premiere at the Dallas Theater Center in October—can’t wait for everyone to see all these great new works! Well, I usually arrive at the office as early as I can manage—7:30 or 8—so I can have some quiet time to work on lists and try to feel on top of things. If I am going to auditions, all the materials have been prepared in advance by our great assistants Scott Anderson and Lizzy Auwaerter, so I can grab and go. I think people would be very surprised to know how much work goes into organizing a casting session and the detail involved—making sure the lists are properly typed and the actors have been sent the right material. After a session we’re invariably jazzed up, so there’s a lot of trading stories and ideas when we get back to the office. Eric Woodall has been known to do some dancing and Merri Sugarman sings in many impressive registers. We all check to make sure everything is ready for the next day. We all go to the theater a lot—it can make for a long, full day. Sewing? I replaced a button by myself once in the ’80s. Sports? I know there’s a tennis racket in my closet somewhere. Antiquing? Many of my possessions are old. I wish I had an impressive list of activities to report. I like to read and I like to run, do those count as leisure activities? Kaitlin Shaw has great literary recommendations. How do you choose what projects you work on? I choose based on many things: the nature of the project itself, the director and creative team. It might be an artist I have always dreamed of working with or someone with whom we already have a relationship—that’s always a rich experience, drawing on a common knowledge of actors. We are also a relatively small office so we have to keep our schedule in mind. Before actual auditions, how does the casting process begin? Each project is different. Sometimes an actor is attached to a show and you base the rest of the casting on and around the sensibility of the star. Sometimes we are asked to attach the star. Usually we start with suggestions of actors who seem like they are appropriate and believable to tell the story. We do a lot of work to determine who is interested and available prior to the beginning of the casting process. This can all begin as early as a year or more before the production dates. We are currently working on projects for the 2016–2017 season. What is the most common audition room mistake you see? I think being unprepared is the most common mistake. It’s not enough to “make the words your own”; the directors we work for are looking for actors who have imagination, who have made significant decisions about the character they are auditioning for. A lot of people call it “making choices”; but I think it’s deeper than that. We want to see what connections an actor can make, what level of understanding he or she can bring to the text. It isn’t about memorizing the sides, it’s a matter of spending enough time to explore them. What do you want every actor walking into your room to know? That we love them! We want them to succeed! We want them to get the job! We want everyone to go home happy! What makes for a successful audition tape? It’s usually best to make it a representation of what you would do if you were in person; adjusting a bit in terms of size for the fact that we will be viewing and listening on a small screen. And maybe avoid distracting things in the background. One time there was ironing board in the background and I couldn’t stop laughing about it. Any projects you wish you had worked on? I would have loved to cast the revival of “A Chorus Line.” I couldn’t have done a better job than Jay Binder, but I love that musical and it was so important to my generation. It would have been exciting. In addition to open calls, where do you find new talent? Our team covers all of the Broadway and Off-Broadway shows. Lindsay Levine writes amazing coverage, so if I miss something I know she will have provided a good summary in writing. We also attend the college showcases and many of our staff members work with students at the major theater programs around the country so we often have a bit of background before the new actors arrive in New York. Working in regional theaters helps us become acquainted with actors who don’t live in NYC, and we audition frequently in L.A., Chicago, and Toronto. We also pay special attention to the television series that are cast in New York. What is the best way for actors to build a strong relationship with you? I am a believer in hard work, so anyone who consistently auditions with a good attitude and strong preparation will win me over pretty easily. How important is training versus experience to you? If I had to choose one it would be training: It’s the foundation that holds everything together. Technical ability—a strong vocal and physical presence—allows for emotional and creative freedom to be unleashed and controlled at the same time. There are some actors who find that technique without formal training, but the more an actor can develop her/his skills the more tools will be available when the imagination soars. What makes a successful casting session? Well, hopefully we have called in the right kinds of people, that always helps! We try to make everything well organized so we are able to give the space over to the brilliance of the actors and not worry about anything else. We try to be hospitable and friendly so the actors will feel as comfortable as possible. Sometimes we provide snacks. What advice would you give to someone who is looking to go into casting as a career? Don’t try to impress, just listen and learn. See everything you can see: volunteer to usher, join TDF, get standing room. Take your time and make sure you love it. You won’t get rich or famous, but everyday will be an adventure. Inspired by this post? Check out our New York City audition listings!